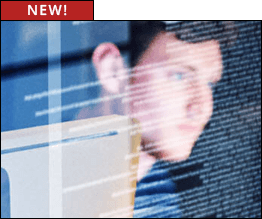 Here at Offensive Security, we tend to use Kali Linux in unconventional ways – often making use of some really amazing features that Kali Linux has to offer. One of these interesting use-cases includes booting instances of Kali Linux Live over HTTP, directly to RAM. We realized there’s little documentation around this feature and thought we’d shed some light on it so others may enjoy this feature as well. 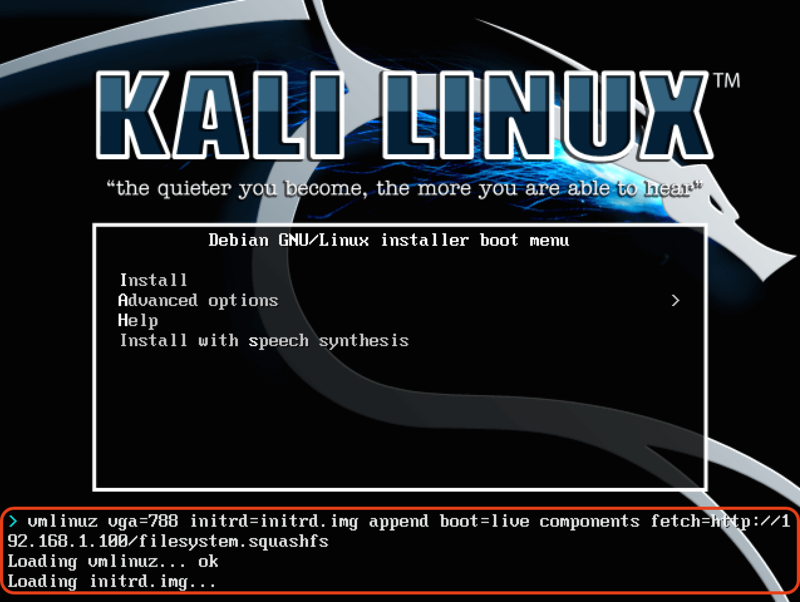 The basic premise involves using the Kali Live kernel and initrd for booting, while calling the Kali root filesystem through an HTTP URI. The initial boot process can take place over the network (via PXE) or a minimal Kali Linux USB/CD – while the remote root filesystem is a squashfs image served over HTTP via an Apache server. As the squashfs filesystem loads to RAM, the filesystem itself can’t be larger than the amount of RAM available on the computer – meaning that for booting a standard Kali ISO as shown above, we’d need at least 4 GB of RAM. Of course, this can be remedied by making a smaller, custom Kali ISO images, perhaps with different toolsets and uses.